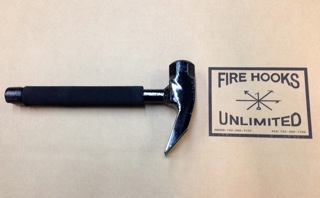 THE PRO-BAR IS THE ONLY HALLIGAN TYPE TOOL USED BY THE NEW YORK CITY FIRE AND POLICE DEPARTMENTS FOR THE LAST 30 YEARS. IT IS CARRIED BY EVERY ENGINE, TRUCK AND RESCUE IN THE F.D.N.Y. IT IS ALSO CARRIED BY EVERY UNIT IN EMERGENCY SERVICES AND THE HIGHWAY PATROL. The most utilized tool in the fire and rescue service today! The Pro-Bar is the Halligan type entry tool that is recognized worldwide. It is 30" in length and is the industry standard. 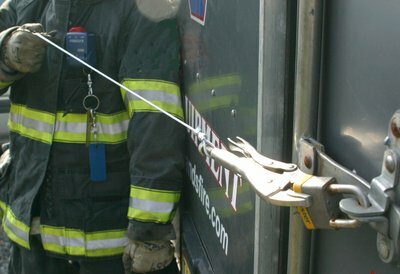 The most popular hydraulic entry tool in the fire service. Named in honor of our Boston area firefighters, the Jake-Rake is 44 inches long and weighs 7 pounds. Features include an adz and pike on one end and a Boston Rake on the other. The handle is aircraft steel with fire-retardant grips. The Maxximus, Maxximus-Rex and the Maxximus-Mod. The ALL-AXX is an 11 pound steel handled axe with a 6 lb. pickhead on one end and a halligan fork on the other. Designed for the roof, the 6 lb. blade can make a crevice so the fork can fit in the bulkhead door. 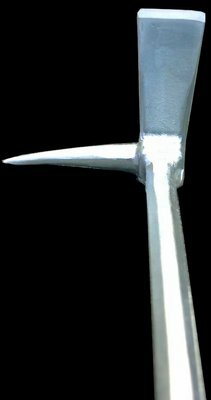 The spike can be used as a handle to pry open the crevice or it can pull the roof open after cutting it with a saw. The top of the axe is a striking plate so you can drive the fork into the crevice if necessary. 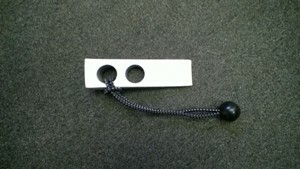 The ring can be used to rope vent windows with a half hitch on the handle. The axe can be hip carried with a carabiner or by using a sheath with shoulder strap. It can be ordered alone or as a set (pictured). The set includes a shoulder strap and leather sheath, which has a 3 inch belt loop. 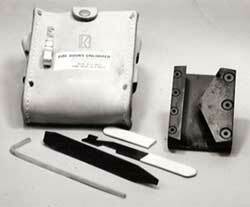 WEDGE (PART # WEDGE-AL) A positive aid for forcible entry made of 6061-T6 aluminum. 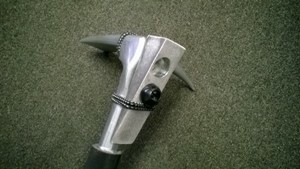 The 7 oz wedge has a hole to fit a halligan spike and an 11 in. bungee cord attachment. A new Multi-Purpose Tool that is extremely effective. Its compact size (30") and sling allows it to be carried "hands free" and quickly deployed during interior firefighting operations. 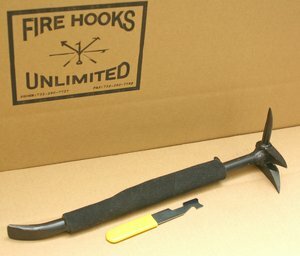 Halligan type entry tool, 24" in length. 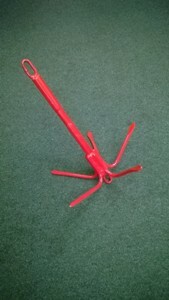 Halligan type entry tool, 36" or 42" in length. Comes with Celtex grip. Using a rope with snap, it is thrown from the roof level to vent windows below. Designed to free one hand allowing the other to hold onto a stair railing, ladder rung, or hold a flashlight. Its purpose is to "marry" the irons (axe & Pro-Bar) to eachother so the unit can be carried together by one hand. DYNAMIC-TRIO features the "IRONS" - 8lbs. 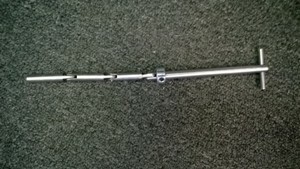 Force Axe, 30 inch Pro-Bar, Marry Strap. We also offer our DYNAMIC-FOURSOME which features the "IRONS" - 8lbs. Force Axe, 30inch Pro-Bar, Marry Strap, and K-Tool Unit. Also pictured is the IRONS NEST mounting system, which can be mounted vertically or horizontally. 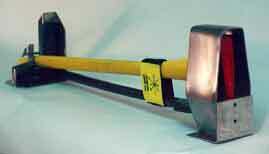 Force Axe (Flat Head) 8lbs. Fiberglass 6 lbs. pickhead axe with overstrike protection and exclusive self extinguishing celtex grips. Will fit all truckmans belts and is 28" long. 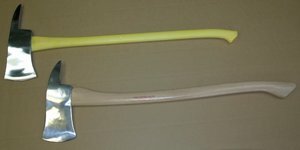 Fiberglass handle, 3.5 lbs. pickhead axe with overstrike protection and exclusive self extinguishing celtex grips. Handle is 28" long. 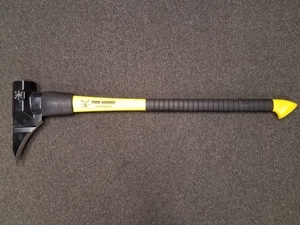 Sledge hammer with a 28"
Fiberglass handle for forcible entry. 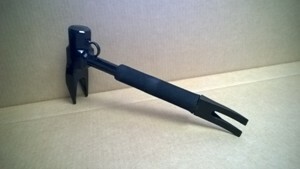 Protected handle for overstrike and self extinguishing celtex grips. The 28" long handle allows this tool to fit any truckman's belt. Fiberglass 8 lbs. splitting maul for forcible entry. Protected handle for overstrike and self extinguishing celtex grips. 28" long to fit any truckman's belt. 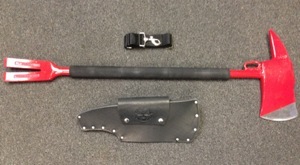 This tool meets the specifications of FDNY for their standard officer's tool. 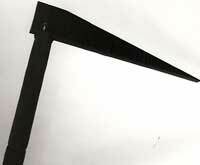 It's made of high strength steel with the head welded to the shaft. The shaft is covered with a non-slip gripping surface. 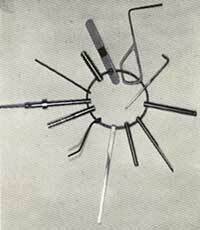 The shaft end of the tool is formed into a pry bar capable of slipping into tight spaces. The head of the tool has a flat driving surface, with an A-type lock puller machined into the adz of the blade. 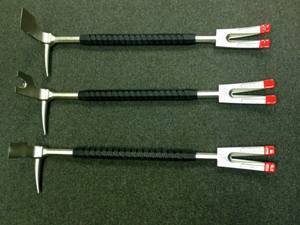 O-BAR KIT: Steel forged and welded construction with shock absorbing handle grip that holds the Kerry key. 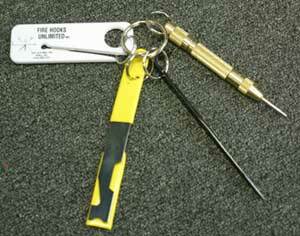 This item is very similar to the O-Tool Kit, except that the O-Bar has a Halligan-like spike on the "A" style lock puller. The O-Bar "Kit" comes with Celtex Grips, Kerry key and a shove knife. FEATURES: Removes Rim Locks, Mortise Locks, Tubular Locks, Key-in-Knob Locks, Fox Police Brace Locks, Fox Police Double Locks. Can also be used to probe during searches, Vent Windows, make examination holes, serves as a portable Pry-Bar, and removes Locks on car trunks. 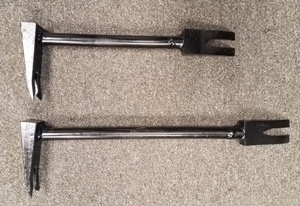 A lock pulling tool, shaped like a "U" with sharp tapered blades that bite into lock cylinders of all shapes and sizes. Extra leverage and original head design provide the mechanical advantage to pull well secured lock cylinders. Opposite chisel end is used to drive rim locks after cylinders are removed. Solid fiberglass handle with self extinguishing celtex grip weighing 3 lbs. Exceptional use as a striking tool for K-Tools, A-Tools and R-Tools. Hammer is 12" long. A common elevator key to access an elevator door. Stainless steel material with an adjustable depth gauge and new diameter for the OTIS elevators. Equipped with 12 keys attached to a 5" jailer ring. Manufactured to conform with the majority of elevator manufacturer access keys. Keys are hard anodized in gold color plate to resist rust. The Auto Rescue Kit contains Seat Belt Cutter, Spring Punch, Shove Knife and Trunk Key - all on a split ring. This device can open the new Pocket Elevator Doors with ease. Instructions are included. 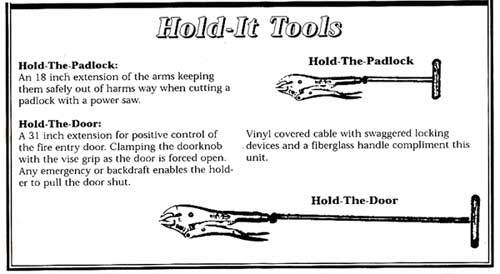 A tool designed to pull all types of lock cylinders too large of the K-Tool unit, such as locks that extend out from the door and 1-inch round are easily pulled with the R-Tool. 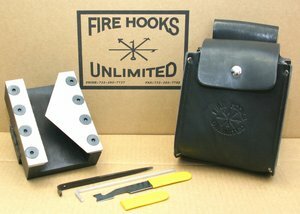 This tool comes complete with a premium leather carry pouch and the tools pictured. Heavy duty contractor quality bolt cutters for a variety of cutting tasks including locks, chain links, reinforcing rods, bolts, rivets. Sizes are 18", 24" and 36"
Non-conductive bolt cutters with fiberglass handles. 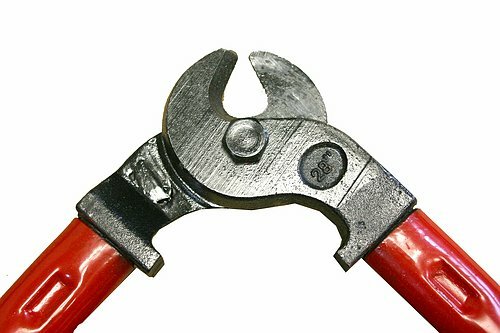 Sizes are 18", 24" and 36"
NON CONDUCTIVE CABLE CUTTERS - Model #NCCC-28 28" inches long with 17" long of solid fiberglass handles. Rated fiberglass at 25,000 volts per inch with added celtex for a no slip grip. Made for house current and low volt operations. HIGH VOLTAGE SHOULD BE LEFT TO YOUR LOCAL UTILITY COMPANY. Breaks the strongest padlock when placed in the shackle and struck with a maul or the back of an axe. Especially useful in roll-up doors on taxpayers and/or commecial buildings found in shopping malls. The 18" handle keeps hands safely away from strike zone. Handle is rubberized with celtex grip for shock absorption. This tool enables the user to unlock virtually any overhead garage door that utilizes as automatic opener for emergency situations. 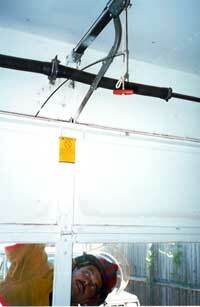 The object of this tool is to grab and pull the emergency release rope inside the garage on the automatic opener, while standing outside the garage door - thus unlocking the door. This enables the user to push the door up manually. An all steel battering ram designed for and used by the F.B.I. and N.Y.P.D. It will not only force doors, but can breach concrete or brick walls. Its design allows one or two man operation. 35 lbs. and 35 inches long. A must for any police SWAT or rescue squad. Weight 40+ lbs. of long lasting epoxy/steel construction. Only 30 inches long with two forward handles and one rear, but enough for the second man to hold. Exclusive celtex shock absorbing grips. The highest kinetic impact of any battering ram on the market with 40,000 lbs. of force. ONE MAN BATTERING RAM - Made with 30 inches of steel encased densacrete. The highest impact RAM on the market. Striking the surface with 30,000 lbs. of force with its 40+ lbs. mixture of epoxy steel poured on each end. The only patented "One Man Ram" (Patent # 4,681,171) held by Bob Farrell of Fire Hooks Unlimited Inc. The Copy Cats encase theirs in plastic casings, which breaks quite easily (especially in winter). WE BOAST THE BEST ONE MAN RAM AVAILABLE. EZ TO USE--EZ TO CARRY--EZ TO STOW! 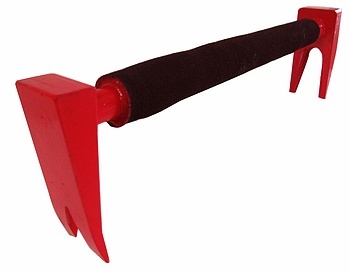 Assault Grapnel (2 lbs) Special Steel Forged Hooks, Arrow Shaped Points, (3) Grappling Hooks welded to a 1" shaft. Made and balanced for throwing to upper levels. An eye is on one end for rope attachment. 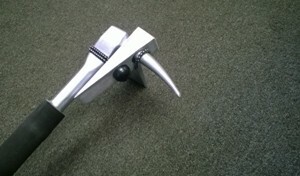 Drag Grapnel (5 lbs.) Special Steel Forged Hooks, Arrow Shaped Points, (5) Grappling Hooks welded to a 1" shaft. Made and balanced for throwing to upper levels. An eye is on one end for rope attachment. Advanced styling, comfort, and design with comfortable grip and knuckle guard, oversized handle, chosen to be used with a work glove. Tension device eliminates the "awkward wing nut style". Frame design permits "flush cutting". No part of the frame extends below the frame of the hacksaw. Two settings of the blade, staight and 55° angle. Storage of blades in the angle of the blade when set in frame allows the fastest cut possible with a manual hacksaw. Especially quick on automobiles frame posts. The best frame deserves the best blade. Each unit is equipped with a top of the line "Sanflex Bi-Metal Blade". Automobile unlocking tool. For GMX-Body and other GM, Ford, Chrysler, and American Motors products. Plastic yellow frip. 30" length for the new cars. For Window Removal. Simple, Fast, and Safe. Pinch or Wedge Point Crow Bars, 12 lbs, 1-1/8" x 51" long. Celtex grips on handle.